These nice long matches are wonderful! 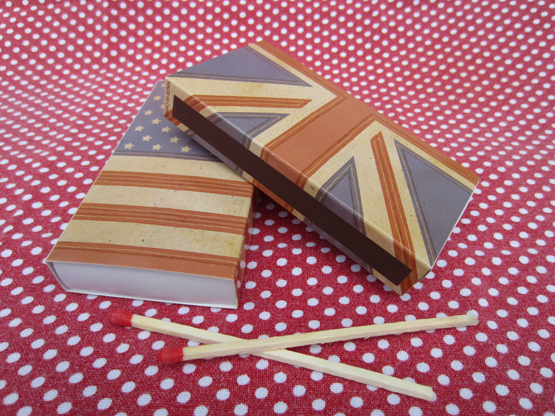 Two boxes of matches: one vintage Union Jack flag art, and one vintage American flag art. 4” long matches, 50 matches per box.